For a quintessentially English experience; perfect for visitors from abroad and the ideal staycation if you live here; Yorkshire has got to be on everyone’s must-visit list. Outstanding countryside, stunning coastlines, beautiful villages and endless historic sites await. 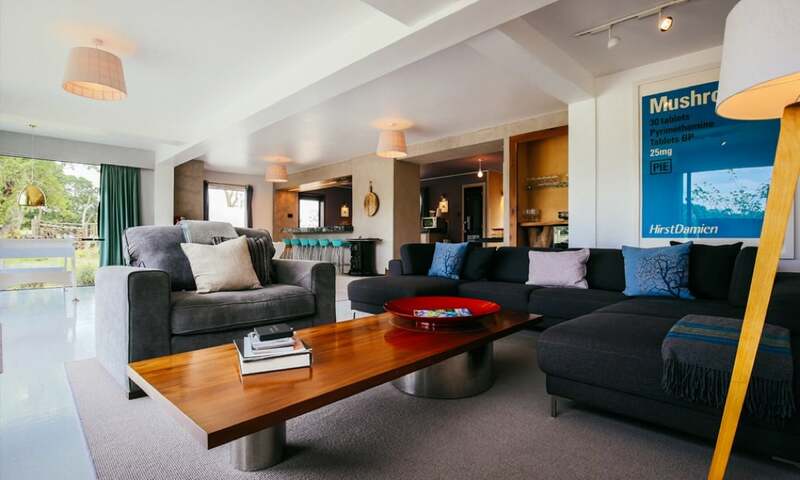 For a real home-from-home experience, check out the stunning 4-Bedroom New York Public Library property which accommodates 8 people in an inspirational environment. 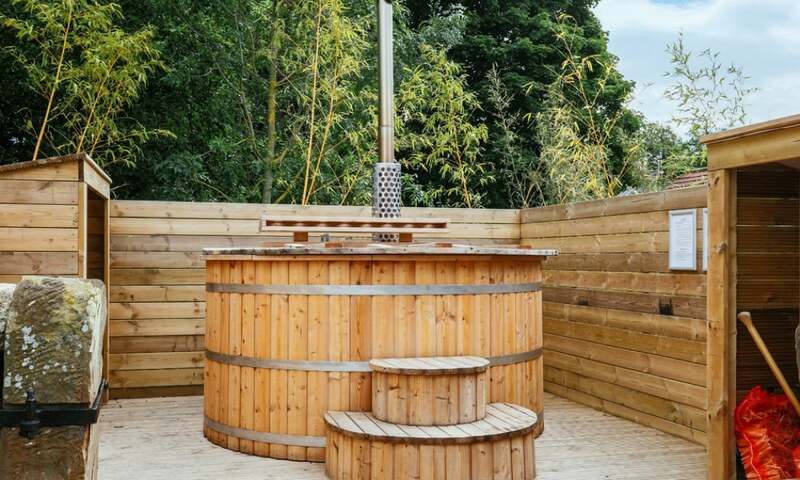 This Yorkshire holiday home lies close to the historic market town of Richmond. A short stroll takes you to the bluebell woodland gardens with a superb collection of rare trees and shrubs and plenty of great picnic sites. It’s over a 4-hour drive from London or fly into nearby Leeds Airport which only takes an hour. The wonderfully, eccentric named property is, of course, not in New York, nor is it a library! The owner, who lives nearby, named it as part of this property is based on the old public library in York; it certainly means that you’ll never forget where you’re staying! Once you know the tale behind its name, you realise just how fitting the name is for the property. The décor has that wonderful quality that makes your Instagram very happy! Carefully selected funky pieces and fantastic artwork creates an inspiring and eclectic living area. The architect took inspiration from a Japanese wood burning craft that preserves and enhances the beauty of wood over time, which has resulted in a stunning dark wood exterior for this calming retreat. 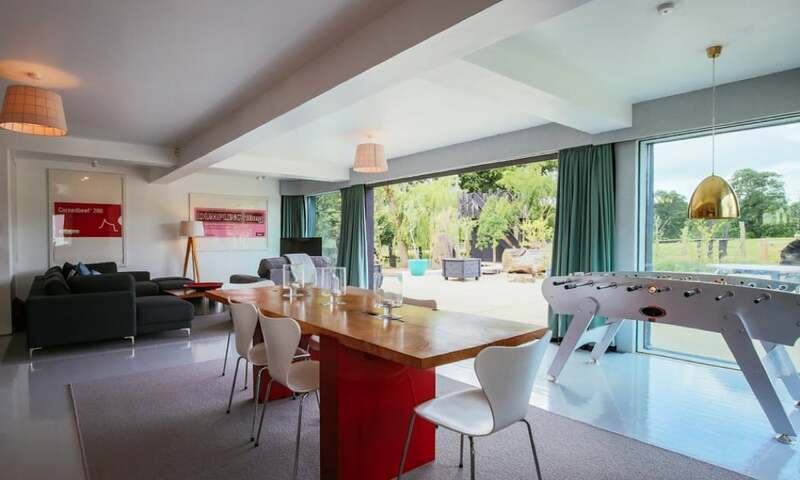 There is a vast living and dining area with huge floor to ceiling sliding doors; the perfect space for relaxing with family and friends, enjoying the countryside views and entertaining. 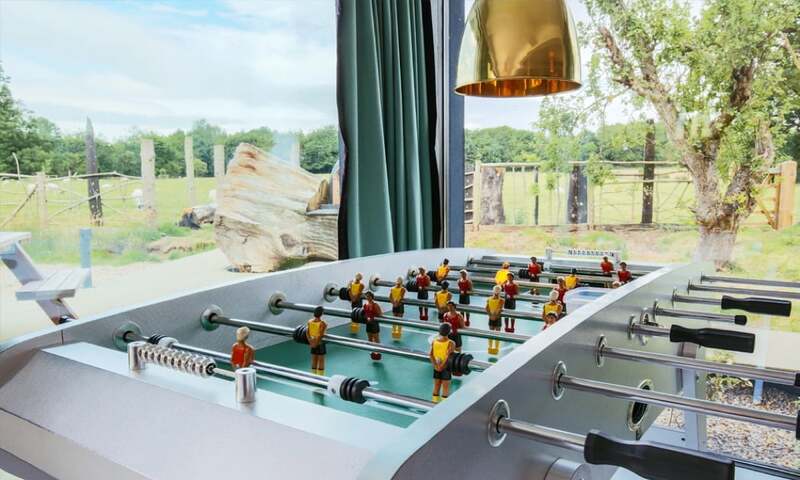 There’s even a table football machine so any children will be well entertained; assuming the big kids let them get a look in! 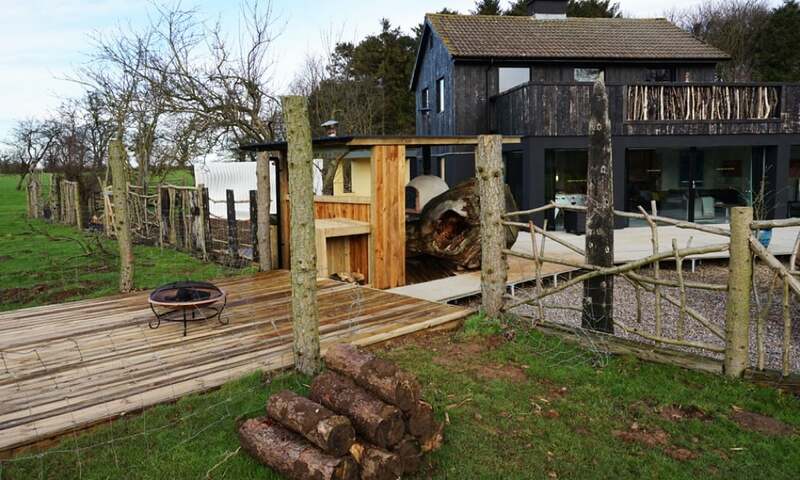 Outside is just as much of a treat; private park and stunning woodlands surround the property; relax in the private log burning wooden hot-tub, cook outside at the Patagonia Grill Station or in the pizza oven, and there’s few better spots than cosying up around the fire pit of an evening. 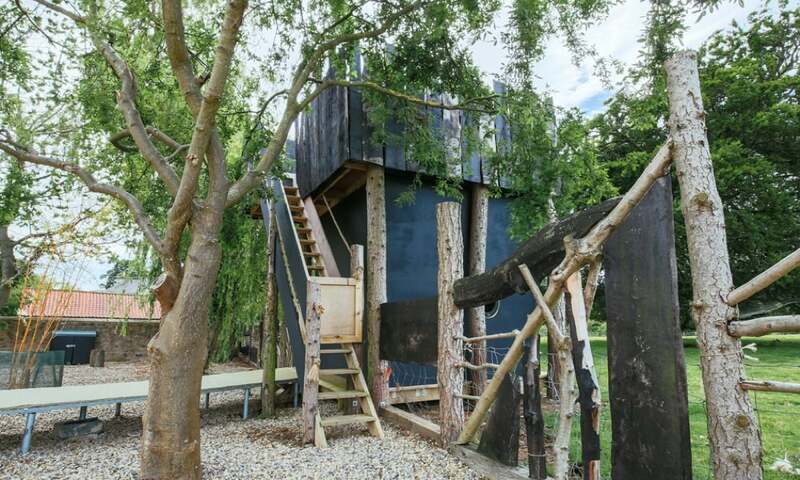 The kids will also love exploring the wooden lookout tower with its secure den; the views across the fields from the balcony are heavenly. 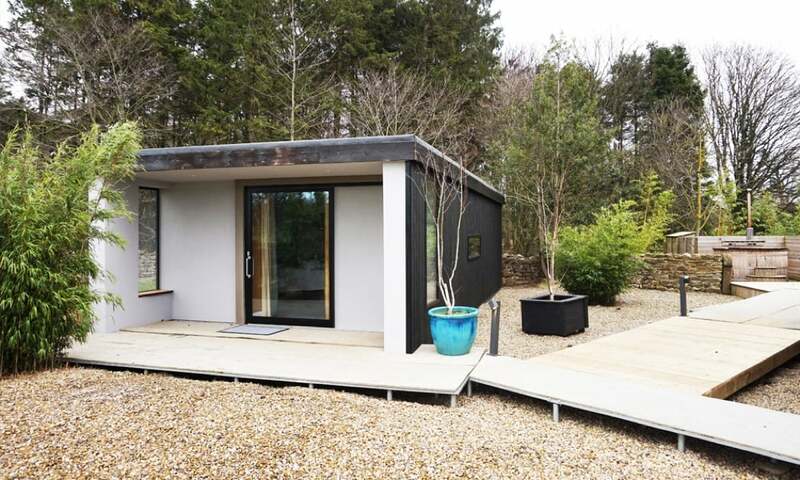 The house is provided by Holiday at Home who provide luxury self-catering holiday accommodation in beautiful Yorkshire. Whether you are looking for a short break in the Yorkshire Dales or the perfect place to stay in North Yorkshire for a few weeks, you can browse through their five star Yorkshire holiday cottages, large country houses, luxury log cabins with hot tubs or dog friendly properties and select the perfect home-away-from-home for you. 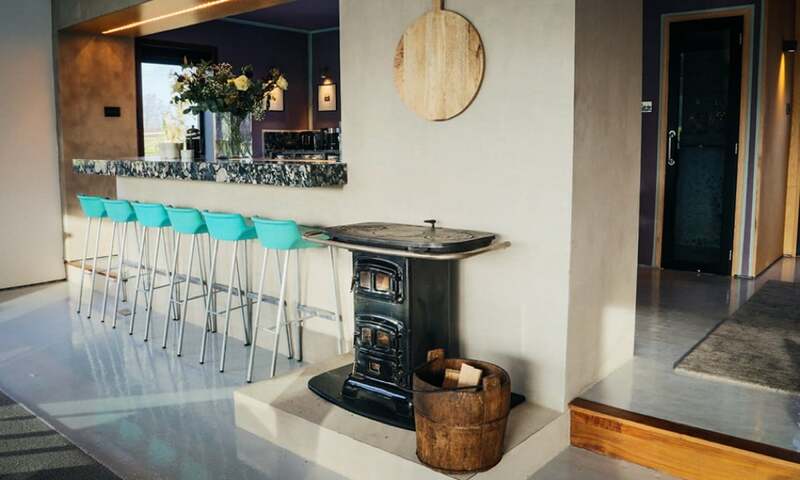 They think of everything and the attention to detail ensures that the properties are ideal for the discerning traveller. Upstairs you’ll find two double bedrooms each with sliding doors opening on to the South facing sun terrace. 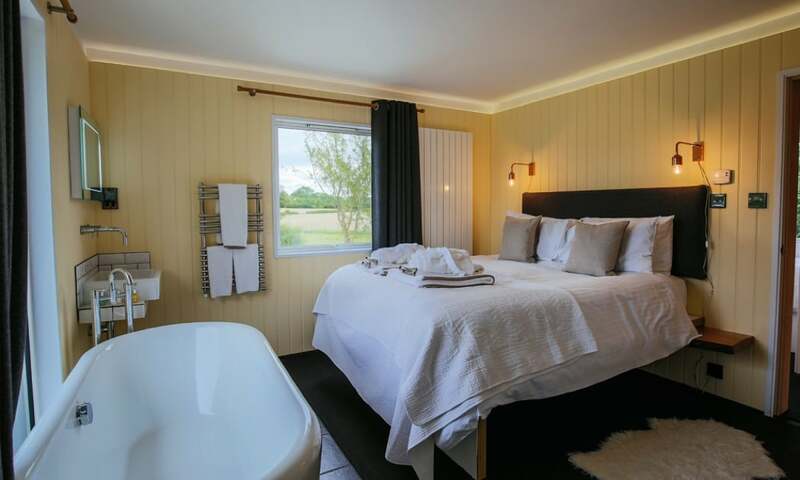 The master bedroom has a stunning feature roll bath in the bedroom as well as an ensuite. The fourth bedroom is smaller with two single beds and would be perfect for children. There is also a house bathroom with shower, toilet and washbasin. The additional annex has a super king size bed, ensuite and a private outdoor seating area; great to get some peace for a minute! I’d recommend a real mixture here; the kitchen in the house is too big and too well-equipped not to use; cooking in it is genuinely a pleasure, the outside grill station is fun and makes a delicious BBQ, the kids will love the pizza oven and there’s plenty of lovely pubs in the local area; ask your hosts for tips but the Yorkshire pub is something of an institution and is definitely not to be ignored! To truly indulge, why not let Holiday at Home arrange for a private chef to come and cook you in a feast in the comfort of the house itself.